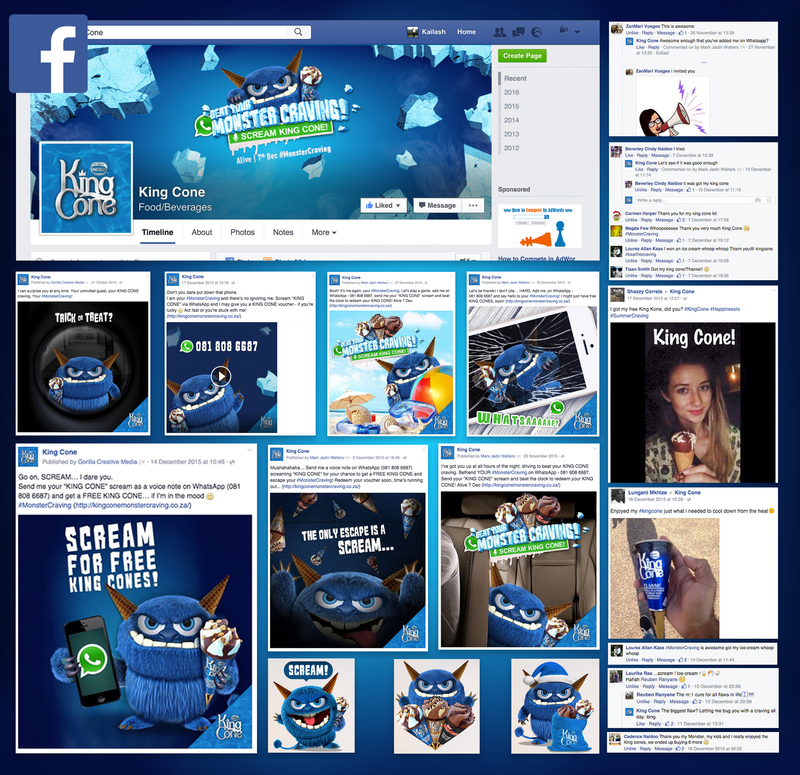 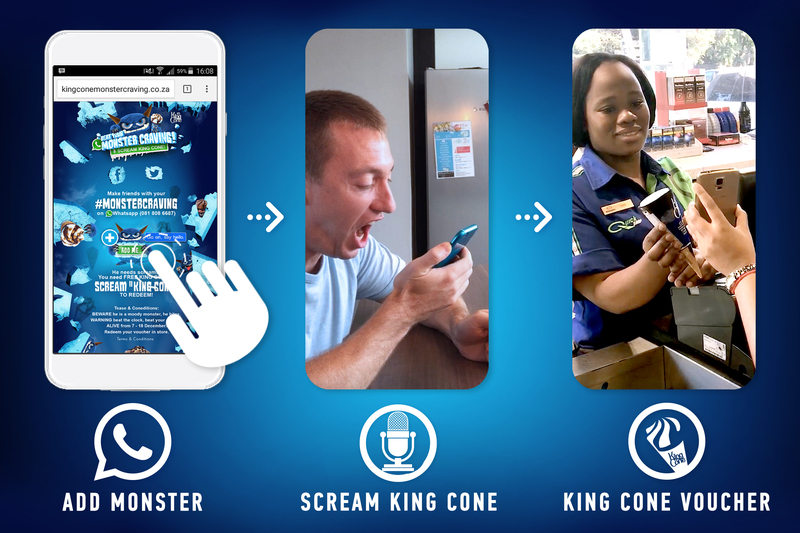 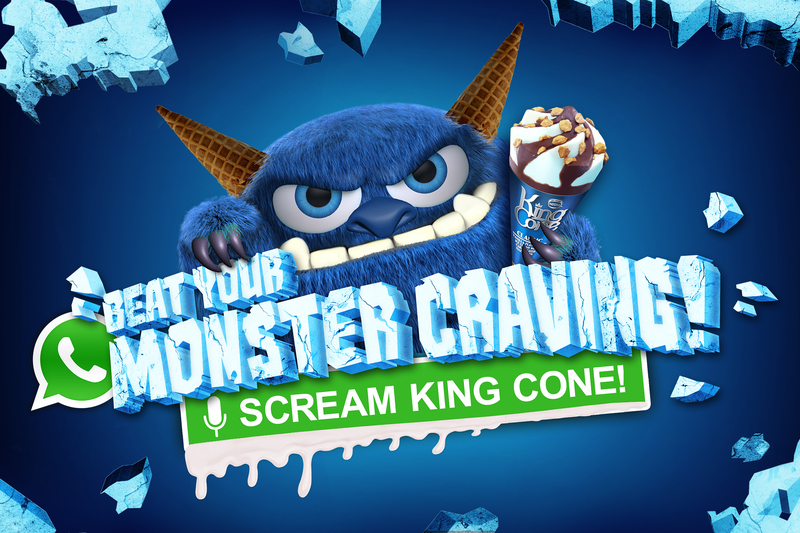 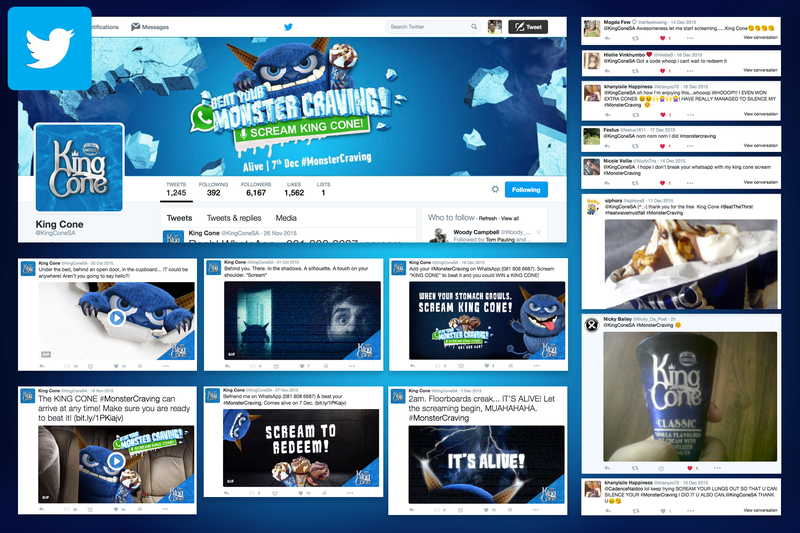 The KING CONE #MonsterCraving came alive on Facebook, Twitter and Instagram, driving fans to chat with our Monster directly. 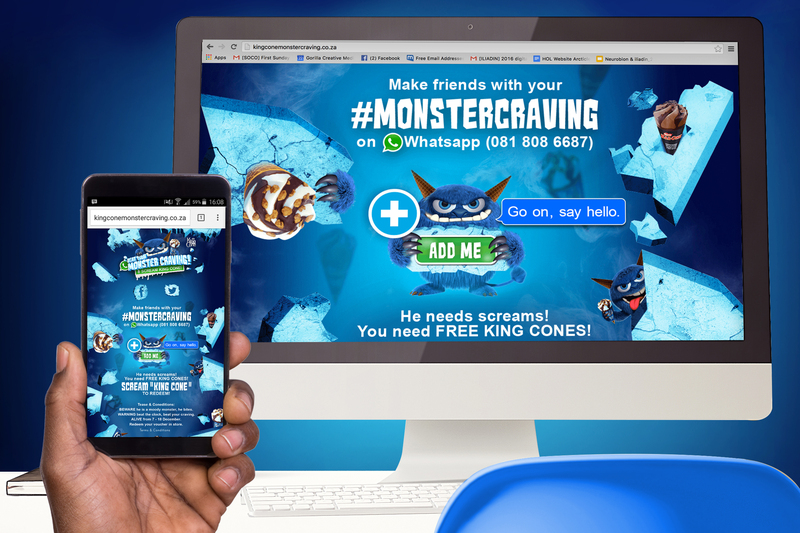 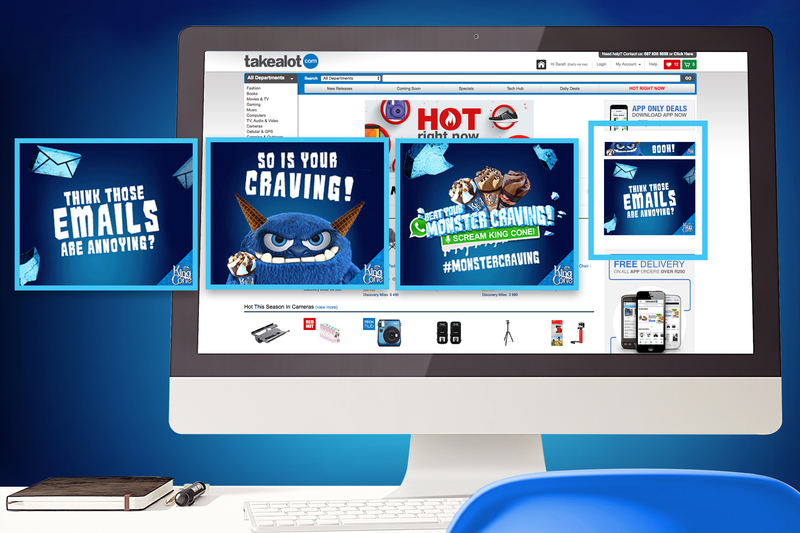 With an innovative piece of coding, thousands of fans were able to add the #MonsterCraving on Whatsapp with just one click – bypassing the inconvenience of manually adding a contact and removing what normally would be a clumsy process. 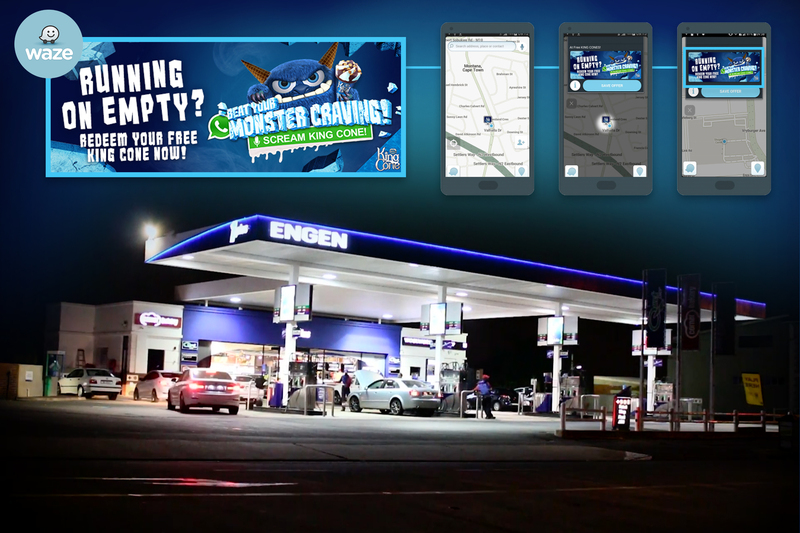 This enabled us to chat and deliver vouchers to consumers’ mobile phones. 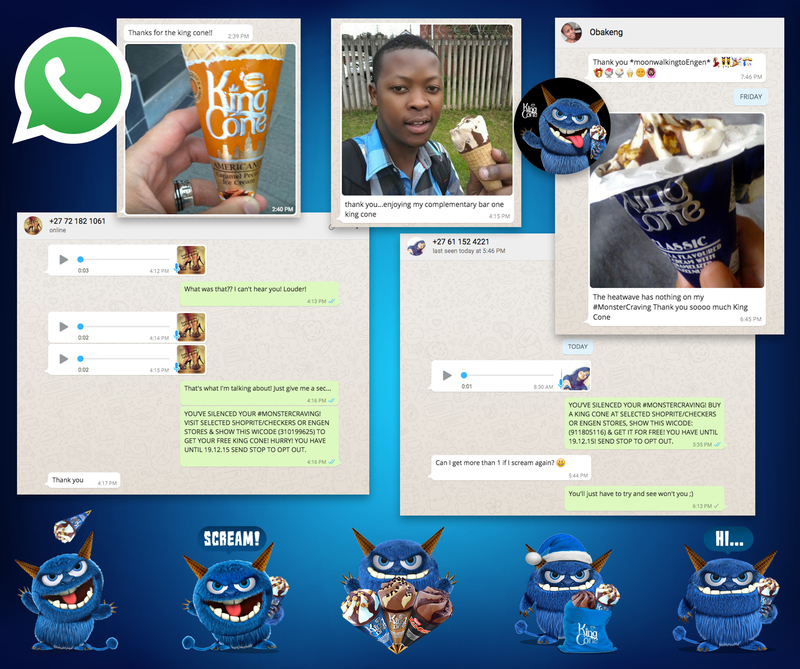 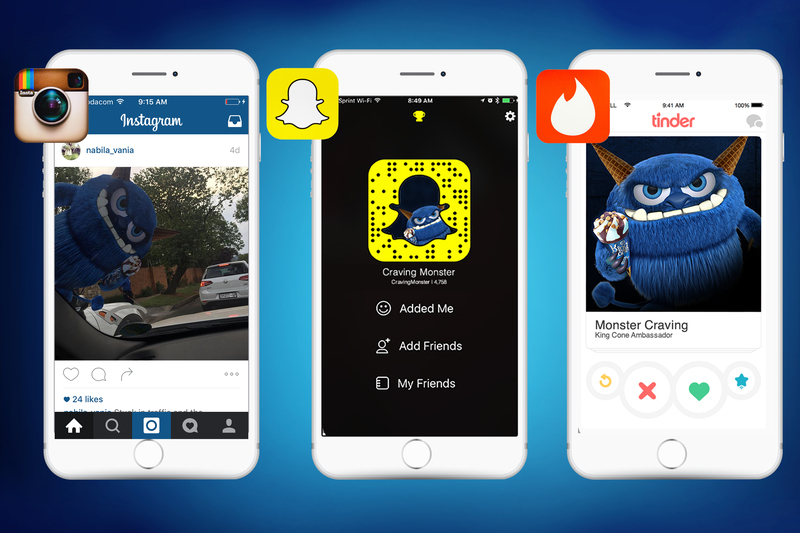 The nature of Whatsapp and Facebook Messenger allowed the monster to connect with fans at any time on a one-to-one basis, creating a unique brand experience.